That’s the philosophy of Frank Lowy, co-founder of the Westfield Group. It’s part of the reason Westfield has grown from humble beginnings in Sydney’s west in the late 1950s to become a global shopping centre powerhouse with a portfolio value approaching $70 billion. By one measure, a $1000 investment in the Westfield IPO in 1960 would now be valued well north of a staggering $200 million! 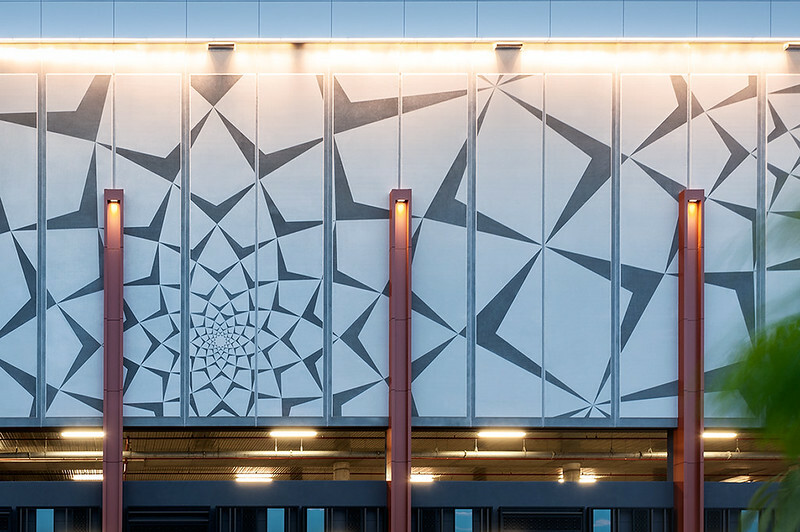 Westfield Design and Construction came to Austral Precast looking for an innovative solution to allow the creation of a multi-coloured, three dimensional decorative mural in precast concrete. The massive artwork was planned to be the signature piece of Westfield Garden City, located in the Brisbane suburb of Mt Gravatt and currently undergoing a $330 million makeover. The mural was designed by Spanish-born artist, Dani Marti, known for his installations and public art as well as unorthodox woven and video works. The abstract flower pattern varies across the mural which spans thirty precast concrete panels, each twelve metres high. It is enclosed in a rebated “frame” that is also cast into each panel. “There’s a lot of ways to get a pattern on concrete but there are not many ways to get this level of detail and intricacy of pattern on a concrete panel,” explains Alex Gorton, the project’s contract administrator for Westfield Design and Construction. 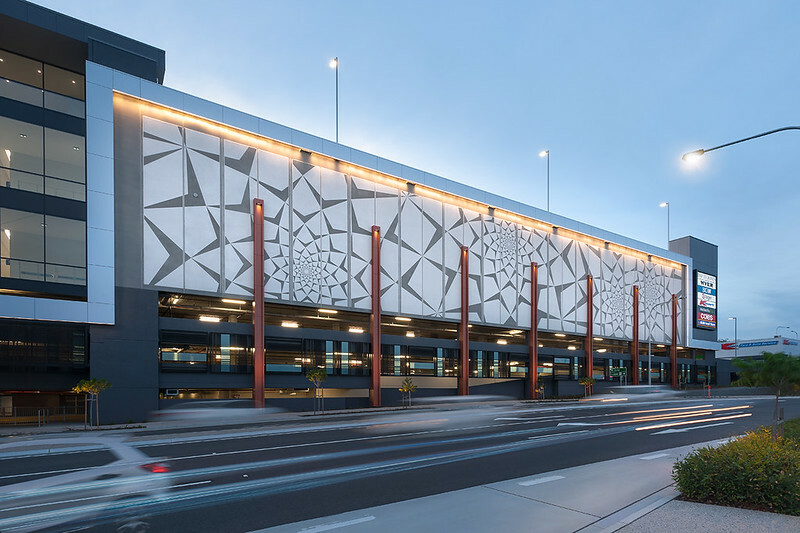 As Australia’s largest manufacturer of precast concrete panels and associated structural components, Austral Precast is always looking for new and inventive precast solutions. The panels installed at Westfield Mt Gravatt shows how the PermaGraf system creates eye catching features and timeless style. With the completion of this upgrade in 2014, Westfield Garden City has increased its retail space by a massive 40 percent and is now in the top 10 Australian shopping centres. Like Westfield, Austral Precast embraces change and is always seeking “another hill to climb”.